Some artists are just naturally in a zone, and clearly Darren Harper is one of them. His latest release, a collection of textural ambient sound sculptures called Descend, is a perfect case in point. Darren has long impressed us with his tremendous skills in the worlds of sound design and abstract compositional structure, something you might have noticed by our very complimentary writeups on his other Earth Mantra releases. With Descend, Darren has created an album that is truly one of our favorites, a musical journey that leads the listener through five pieces of deep immersion and entrancing ambience. 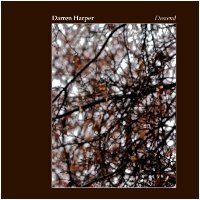 The music on Descend is very droney, with long sustained waves of sound crashing on the virtual beach, and as usual Darren amazes us with his unique ability to balance the tonal and atonal elements into something that is greater than the sum of its parts. There are a lot of people who are good at sound design, Darren among them, but what really sets him apart is how tastefully he can make something abstract have tonal nuances, and how effortlessly he can make something tonal have abstract overtones. At times, the subtlety is overwhelming; how can someone take such minimal sounds and combine them in such an uncluttered way, and yet produce something that has so many details waiting to discover? Remarkable work, by an artist at the very top of his game. So it is with great pleasure we introduce Descend by Darren Harper, the next episode in his journey through the world of ambient music. Highly, highly recommended. A unique sound of majestic and exquisitely refined ambiental drifts and drones. This truly is grandeur. So turn up the volume and plunge yourself into these waves of peacefulness, marvel, and beauty.